AlligatorZone keeps the youth, ranging in ages 7 through 17, and older, deeply engaged in understanding how a local entrepreneur is attempting to solve a pressing problem (or a not-so-pressing problem). AlligatorZone inspires the young minds through honest conversations with startup founders. Parents also actively participate, and are encouraged to do so. We heard that in the City of Mountain View, California, parents report that they and their children now have a new shared experience to talk about at home since they attend AlligatorZone together. Kids and youth can relate to the startup founders. 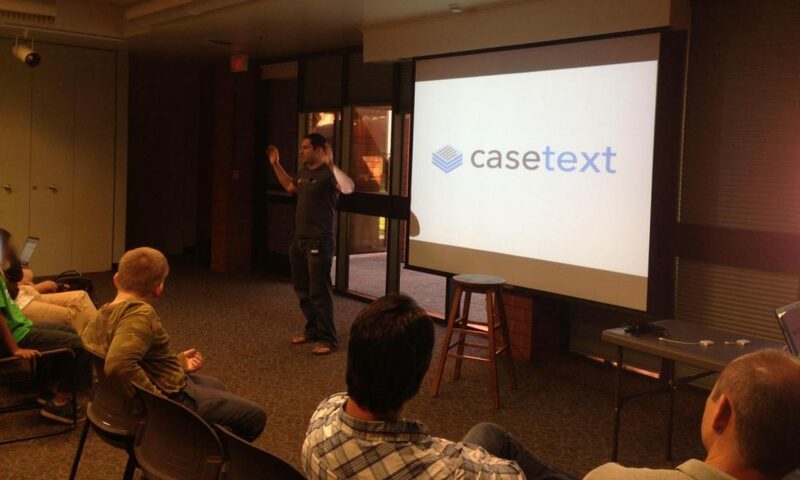 For example, Jake Heller of Casetext told the audience that he went to the high school right there in that very neighborhood in Sunnyvale. Since the startup founders who show up at AlligatorZone are really unassuming and give of their time with a sense of humility, kids and teens in the audience can sense how approachable they are, and know that even they can aspire to make a difference in the world by becoming an entrepreneurial problem-solver. Kids and youth may just find that raison d’être which eludes most of us until much later in life. Learning through observation that even they can make life enjoyable and meaningful, through making others’ lives better is a priceless benefit of AlligatorZone. Click here to read further about additional benefits that accrue through our AlligatorZone Ambassador initiative.